SHUBUTA, Miss. — To James Miles, the abandoned bridge about a mile from his home is little more than a directional landmark. 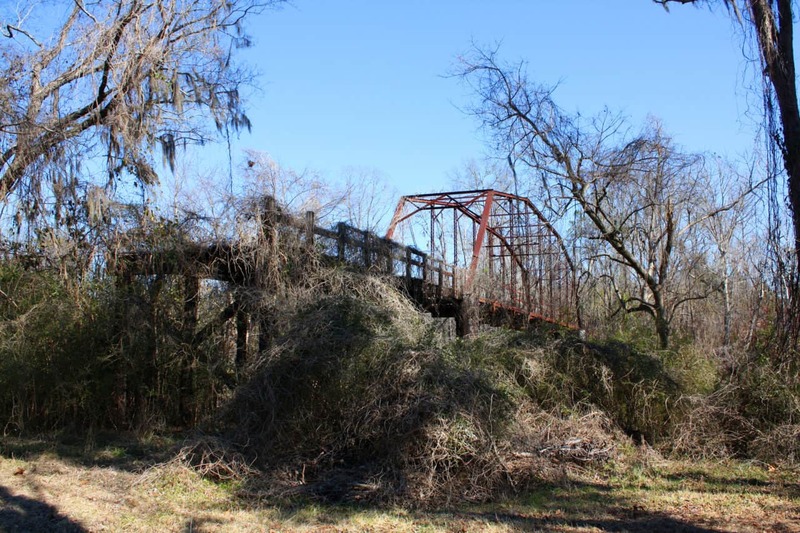 As Mississippi prepares for a Senate runoff on Tuesday, the structure known as the Hanging Bridge – where six African-Americans, including two pregnant women, were brutally lynched in 1918 and 1942 – has been heavy on his mind. Seeing old prejudices so openly displayed pains Miles, who remembers a time when he had to cross the street to let white pedestrians pass on the sidewalk. Part of him hopes that her remarks will spur more voters like him into electing Espy, who would be Mississippi’s first black statewide official in more than 140 years. He’s not overly optimistic, though. The sentiment runs counter to one of the top stories of the 2018 midterms. Tight gubernatorial races in Florida and Georgia, and Democrat Beto O’Rourke’s strong showing against Sen. Ted Cruz (R) in Texas, led to high-profile headlines about a new viability for Democrats in the South, where the GOP has held increasing sway since the mid-1960s. With the right candidates in the field, the theory goes, the Democratic Party can take advantage of shifting demographics, forging diverse voting coalitions that could lead to real inroads in Southern conservative strongholds. Yet to folks like Miles in the heart of the Deep South, the promise of a regional realignment is dim. Post-Nov. 6, Republicans – all but one of them white – still control the vast majority of governors’ mansions and US Senate seats south of the Mason-Dixon line. In Mississippi, home to one of the largest shares of African-Americans in the country, statewide office has evaded the Democratic Party since 1982. There’s not much data to suggest Tuesday’s race will change that course, despite Senator Hyde-Smith’s comments. The Sunday before the runoff, a crowd of two dozen huddle inside the Mississippi Industrial Heritage Museum in Meridian – a city of less than 40,000 that is still the sixth largest in the state – for a last-minute rally for Hyde-Smith. Roger Welborn sits on a church pew in the back of the room, affixing a Hyde-Smith campaign sticker to his red flannel shirt. A lifelong Republican and retired police captain, Mr. Welborn says he’s excited to vote for a candidate whose stances on abortion (which he’s against) and the Second Amendment (which he supports) reflect his own. He was also pleased with Hyde-Smith’s vote for US Supreme Court Justice Brett Kavanaugh, who was recently confirmed amid allegations of sexual assault. That, says GOP strategist and Republican National Committeeman Henry Barbour, is the crux of Espy’s, and the Democratic Party’s, problem: When it comes to the issues – from taxes and border security to abortion and gun rights – Mississippians are far more likely to support candidates who will vote the conservative position. Mississippi isn’t Florida, which has long been a legitimate swing state, or Texas, where a burgeoning Latino population and fast-growing cities have begun to change the dynamics of electoral politics. It’s not Georgia, where Democratic influence has begun to seep out of urban areas into the suburbs, allowing a candidate like Stacey Abrams to build the kind of coalition that almost won her the governorship. It’s not even Alabama, which sent Democrat Doug Jones to the Senate in a much-heralded special election last year, after Republican incumbent Roy Moore became the subject of allegations of sexual misconduct. Mississippi is more rural than all those states, making it a challenge for any Democrat to succeed with even a moderate message on a statewide platform. “If Espy is banking on suburban white female votes, well, you don’t have as many suburbs in Mississippi,” says Byron D’Andra Orey, a political science professor at Jackson State University. The state has also held fast to its Southern heritage. On Nov. 6, Mississippians gave 16.5 percent of the Senate vote to state Sen. Chris McDaniel, who has supported groups like the Sons of Confederate Veterans, which works to preserve the legacy of the Confederacy and redefine slavery’s role in the Civil War. It’s also the only state that still displays the Confederate symbol on its flag. The idea that voters here would send someone to Congress who might vote “in lockstep with Nancy Pelosi” is hard to imagine, Mr. Barbour says. Still, political analysts say, Republicans ignore the warning signs of the 2018 election at their own risk. Democrats may have lost top-of-the-ticket races in Florida, Georgia, and Texas, but those losses paved the way for a number of down-ballot – and possibly future – candidates to mount winning bids. Taking no chances, President Trump is holding a pair of rallies on Monday in Tupelo and Biloxi in support of Hyde-Smith, who was appointed last spring to fill the seat of former GOP Sen. Thad Cochran. There are also hints that Mississippians are starting to come to terms with their fraught past. In late 2017, the state opened a pair of museums in Jackson that present a raw look at Mississippi’s racial history, including the record number of lynchings – 581 from 1882 to 1968 – that took place here. “The state was able to find a way to honor its history, even though its history has a lot of stains,” Professor Orey says. At the Hyde-Smith rally in Meridian, Laura Franey stands in the rain with a yellow sign that says, “[Love] ur neighbor. Say no to white supremacy.” Ms. Franey, a white college English professor who drove 100 miles from her home in Ridgeland to be here, sees Hyde-Smith’s public hanging remarks as a reflection of cognitive dissonance in the state: old Mississippi on the one hand, and the slow progress underway in the state on the other. It’s in those gradual shifts that Democrats may be able to chart a course for their future in the South, says Leah Wright Rigueur, assistant professor of public policy at the Harvard Kennedy School of Government in Cambridge, Mass. “Across the South … there are a body of people a creating a multiracial alliance that are beginning to assert their political power,” she says. While that alliance may not lead to a Democratic victory on Tuesday, or even in 2020, the potential exists – and now people know it. Christian Science Monitor, lynching, Meridian, Mississippi, politics, Shubuta. Bookmark.